Whilst there have been many papers on logistics outsourcing there is very limited commentary on the contractual issues with logistics outsourcing. Most of the literature can be generally categorized according to different focus area. Some of these focus areas include logistics practices, usage of 3PL logistics services, current state and future trends, strategies, and performance measurements. The chapter attempts to address this “gap.” The chapter will focus on some of the key contractual issues with logistics outsourcing contracts currently troubling customers, service providers, and advisers, such as (a) scope of the services; (b) change control; (c) service levels and service credits; (d) risk allocation – limitations and exclusions of liability; and (e) benchmarking. There appears to be no published research and writing on the topic of contractual issues with logistics outsourcing. 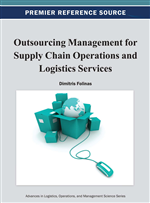 However, there are a number of papers on logistics outsourcing and Razzaque and Chang did a comprehensive review on the outsourcing of the logistics function. This literature can be generally categorised according to different focus area. Some of these focus areas include logistics practices, usage of 3PL logistics services, current state and future trends, strategies and performance measurements. In addition, there are a few studies which deal with the concerns and general risks related to this logistics outsourcing (Damme & Amstel 1996, Sink & Langley 1997, Laarhoven et al. 2000). However these studies do not appear to discuss contractual risks with logistics outsourcing.